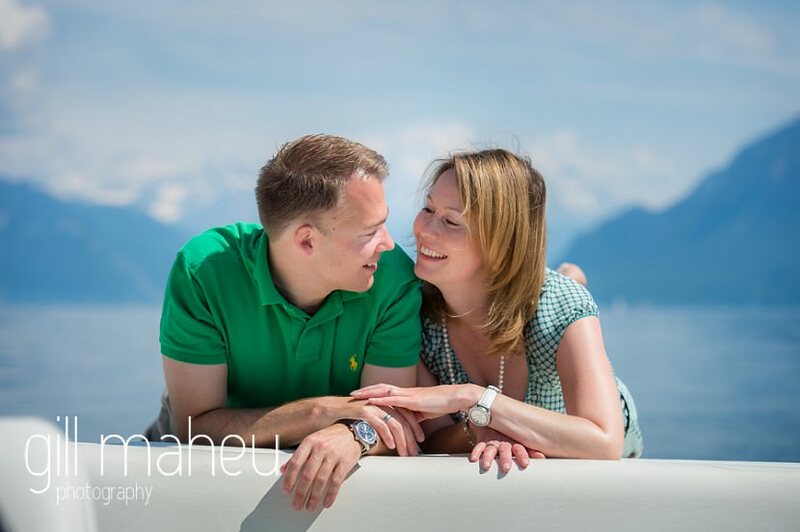 Happy couple ! 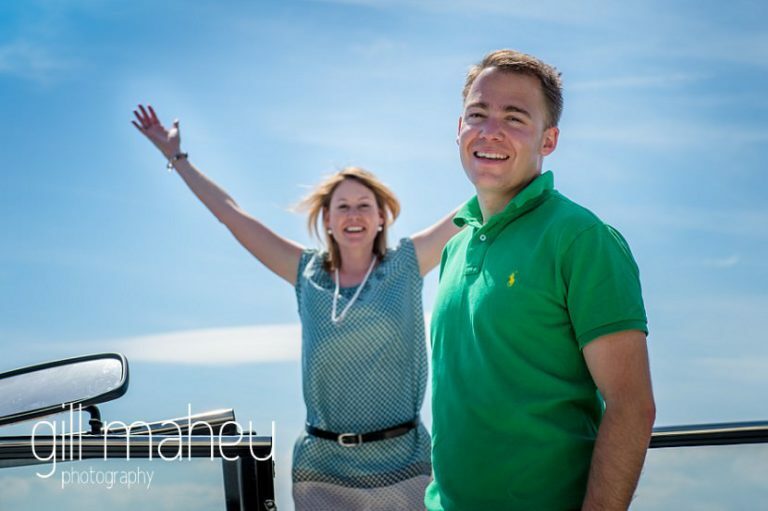 Happy Day ! 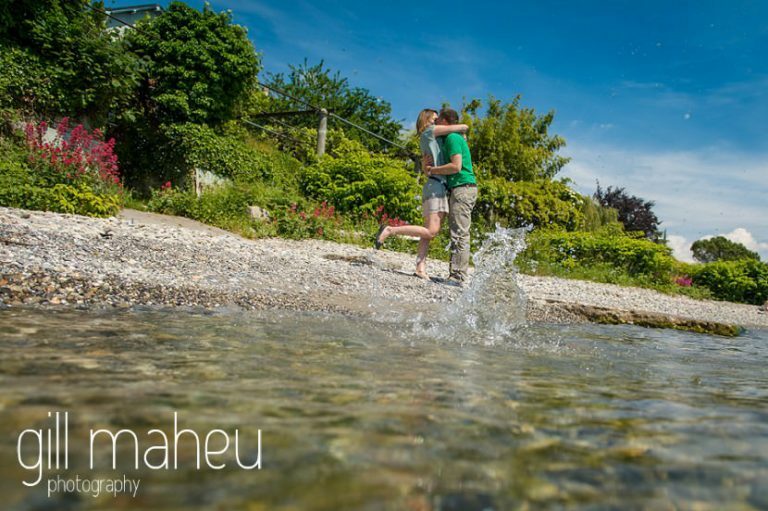 As well as having fun in front of the camera an engagement shoot is the perfect time to go through the timings of the wedding day so that I know where I have to be and when. 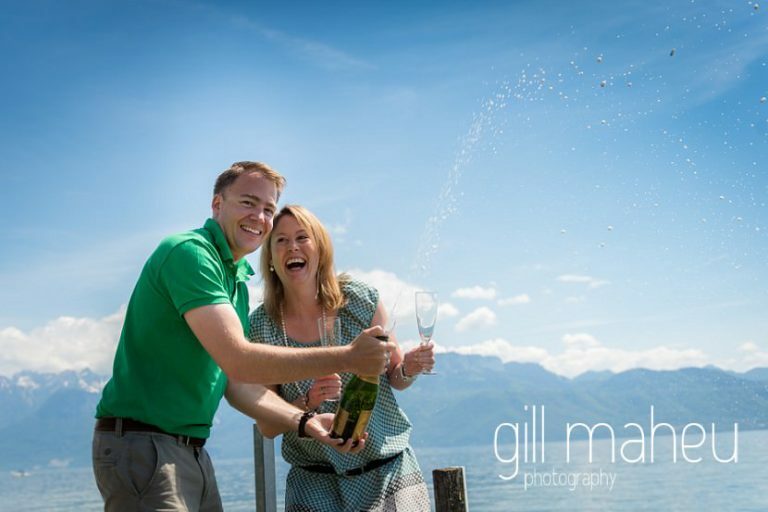 When I met up with A&M on the shores of Lake Geneva for their engagement shoot that is exactly what we did – a long lovely chat about their Big Day sitting in the shade, it was great discovering exactly what they have planned. 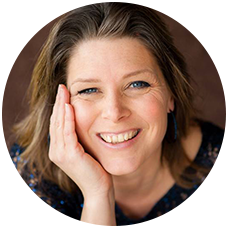 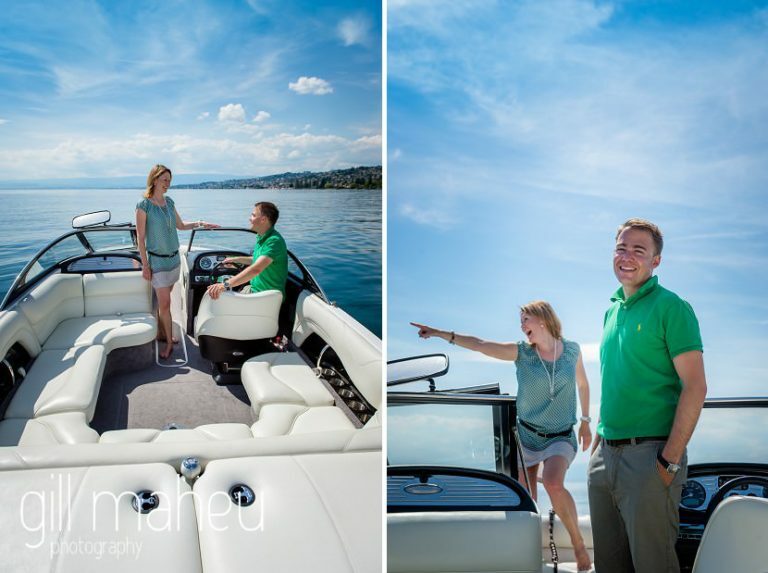 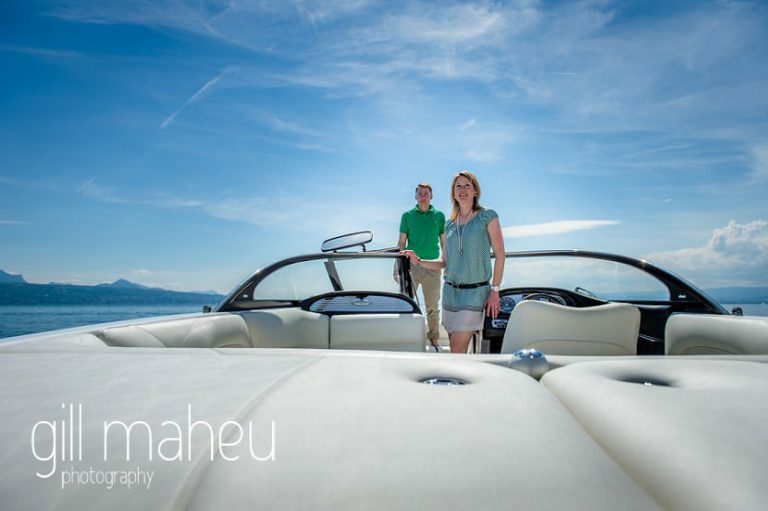 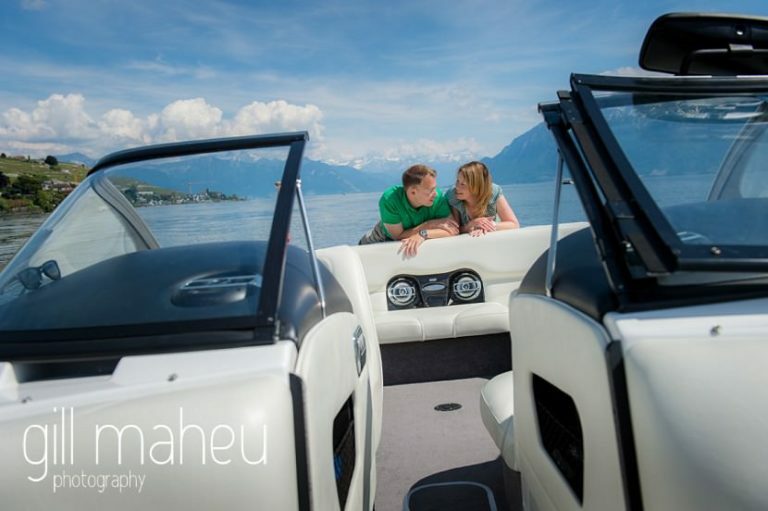 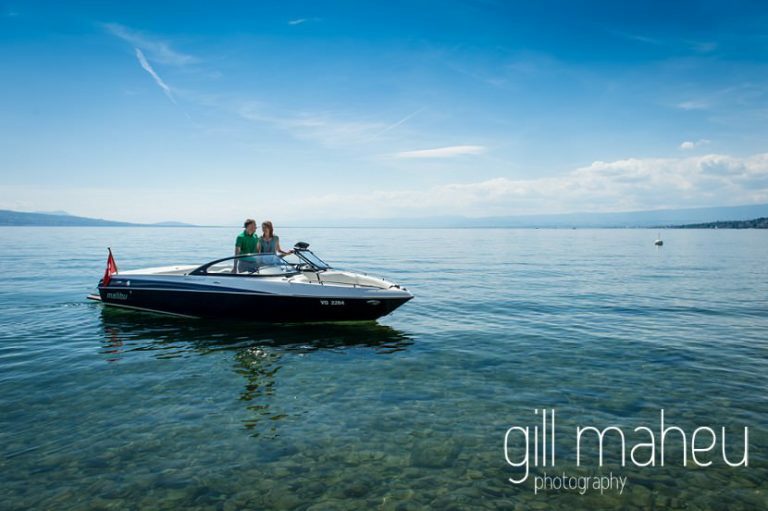 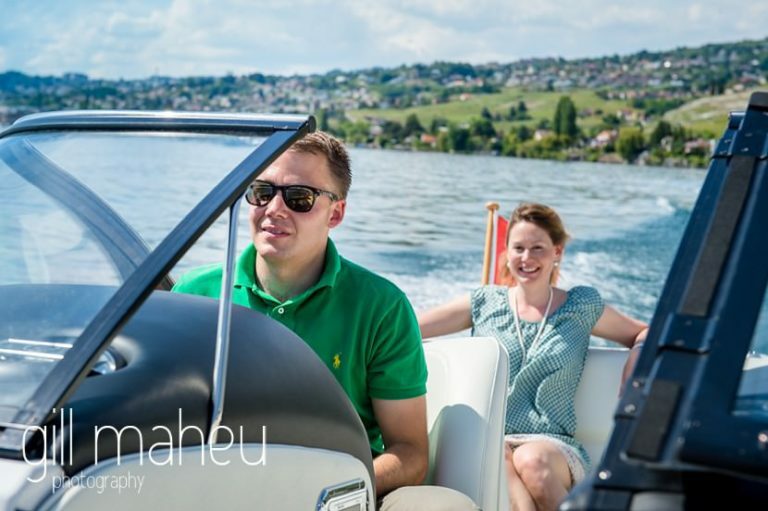 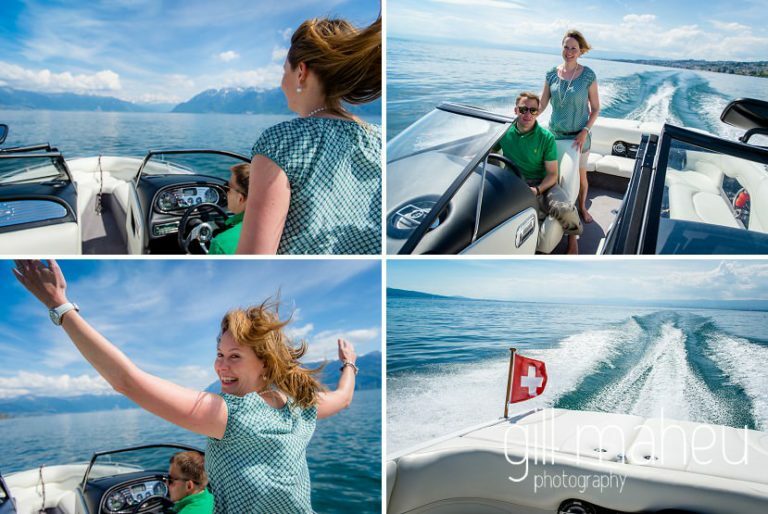 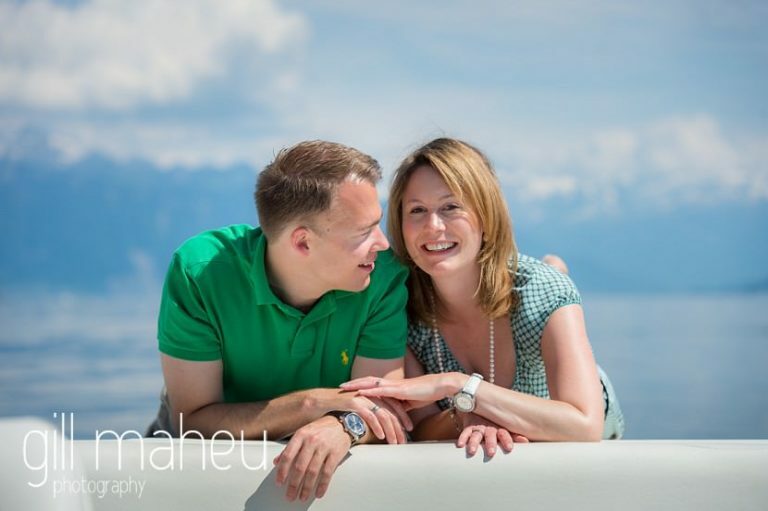 When we finished they had a treat in store for me, they wanted to do their shoot out on Lake Geneva on a fantastic boat – well how could I possibly say no ! 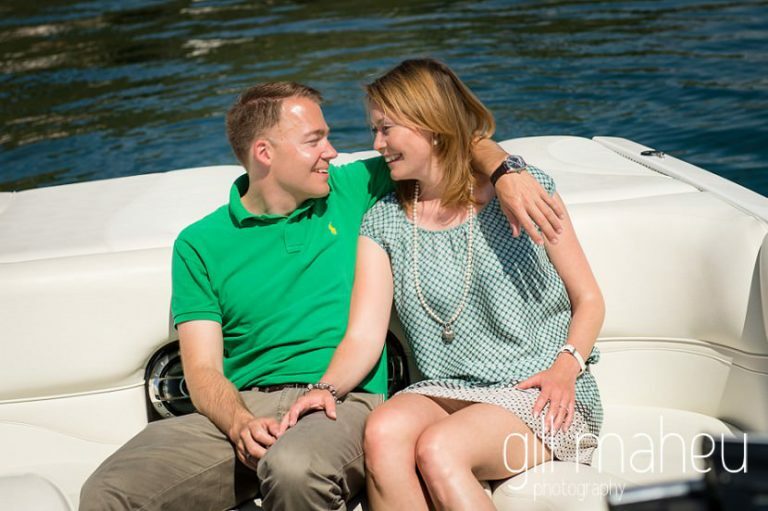 So here is their engagement shoot in the middle of a beautiful lake in the summer sun – Love it !!!! 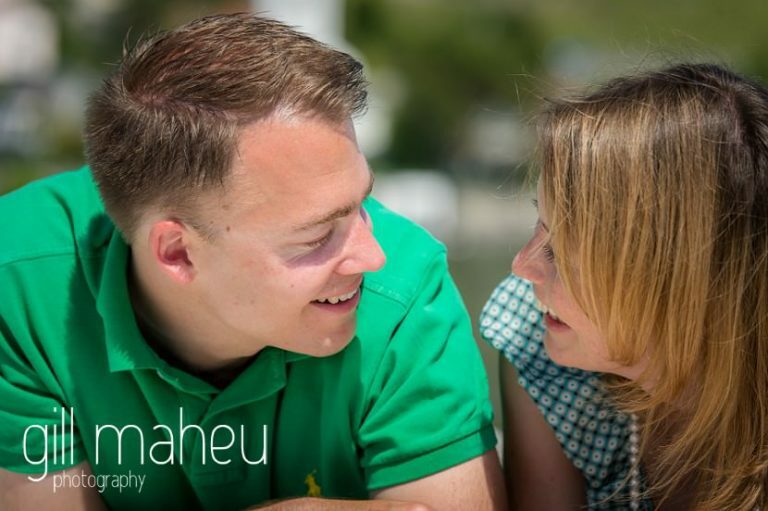 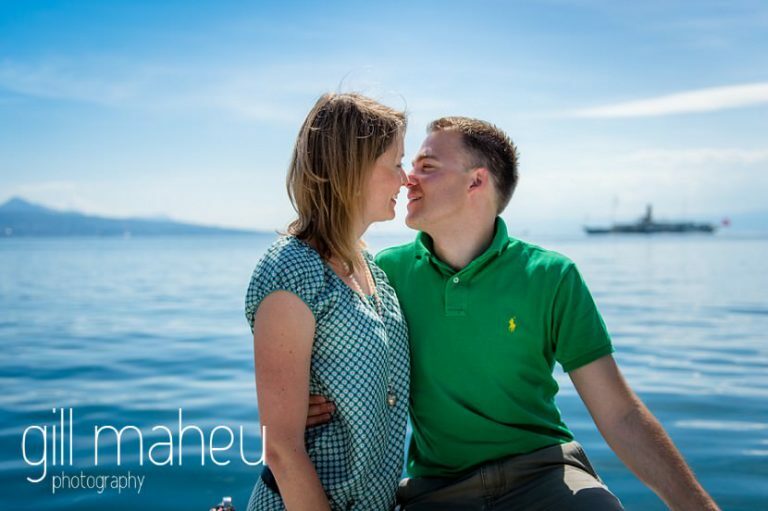 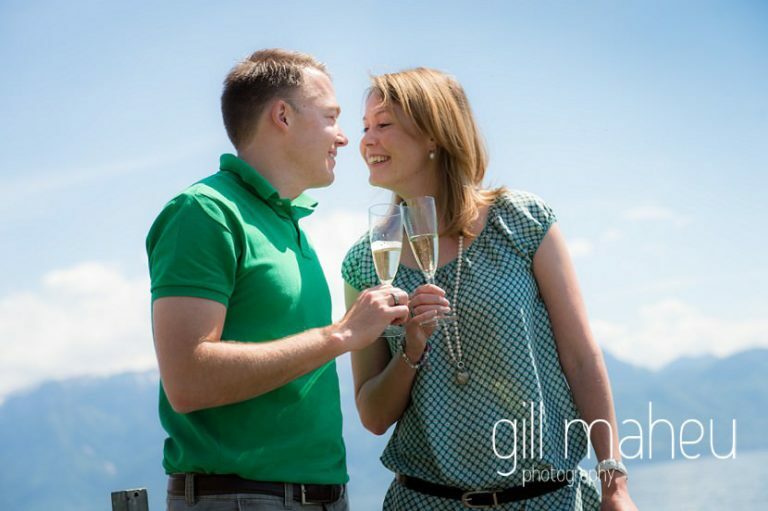 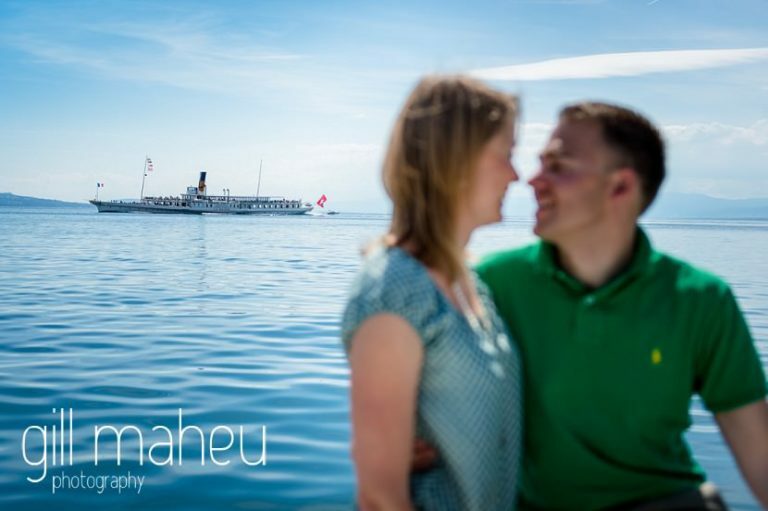 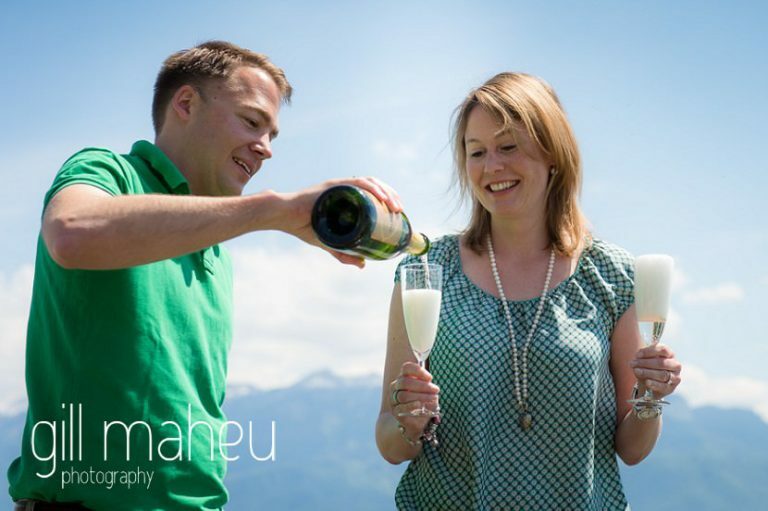 To see more photos from this excellent Lake Geneva engagement session click through the gallery below.